Weighing in at 1.02 carats, this radiant shaped fancy color diamond will have echoes of more traditional cuts such as the emerald or the princess cut diamond. 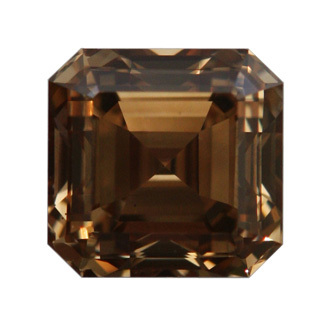 However, its richer, darker color makes this brown diamond an original. The yellowish tones add a hint of fire to the gemstone.